We’re spreading festive cheer all season long at Hotel Bel-Air, as we host special dining events and foodie masterclasses for an unforgettable holiday. Join us at our canyon oasis for a celebration like no other. Beautiful Hotel Bel-Air awaits this festive season, with luxury accommodation in our tropical oasis. We’ll also treat you to a daily breakfast credit and credit to spend at The Beverly Hills Hotel, to help you make the most of your LA break. Beyond the palm trees and sun-drenched beaches lies an eclectic, culture-rich city with endless entertainment and attractions. Discover our seasonal guide as we highlight the best of this year’s festive fun in LA. Californian cuisine is given a festive twist this season, as our talented team at Wolfgang Puck at Hotel Bel-Air transform locally-sourced ingredients into new gourmet discoveries. Join us at our beautiful restaurant to celebrate in true Hollywood style. To get into the holiday spirit, executive pastry chef Tiffany Pascua is hosting sweet foodie masterclasses in our restaurant and on the Front Lawn, both featuring miniature gingerbread houses. The grown-up evening masterclass will indulge in wine, cheese and eggnog; while the following afternoon, little ones can transform their tasty treats with cocoa and snacks. 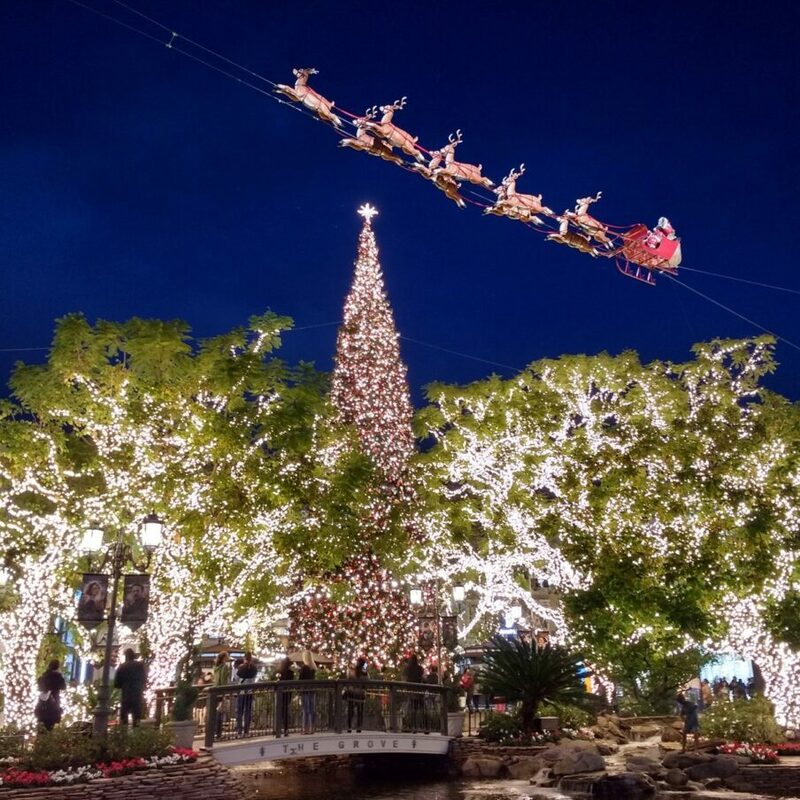 There’s so much to do in LA over the festive season so we asked chief concierge Steve Sorg for his top tips. From family boat parades to interactive light displays, Steve’s recommendations will help guarantee you make the most of your visit to the city.